While most of the poker world's attention has been fixed on London, there have been points to be won in the Bluff Rankings elsewhere in Europe this past weekend with Kassem Yassine taking most of the them. The Swede took the honours in the latest leg of the Unibet Open series, outlasting a field of 336 runners at the Casino Copenhagen in Denmark. 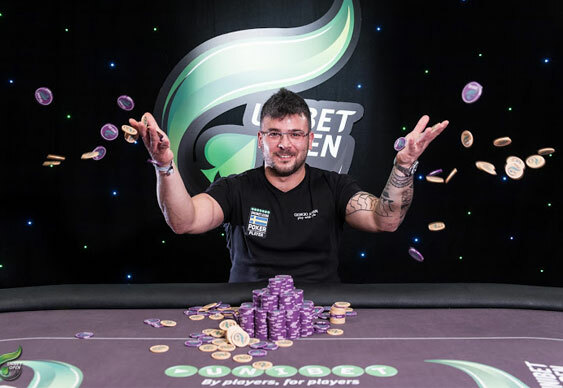 Yassine pocketed a first prize of just over DKK800,000 (around €107,000) for his efforts and in the process became the fourth player from Sweden to win on the the Unibet tour. Yassine eliminated no fewer than four of his final table opponents to set up a heads up match with Johnny Ostbjerg eventually sealing the title with an unlikely offering of J2 that by the turn had become a full house. The Bluff European Rankings action continues this month with plenty of points up for grabs at EPT London until 16 March. There are more points to be won later in the month as the Genting Poker Series hits Newcastle from 19-24 March. We caught up with Chris Brammer who topped the 2012 Bluff European Rankings. Read the full interview here.